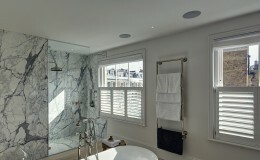 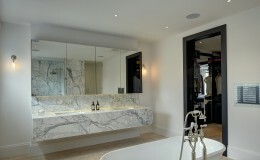 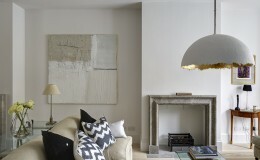 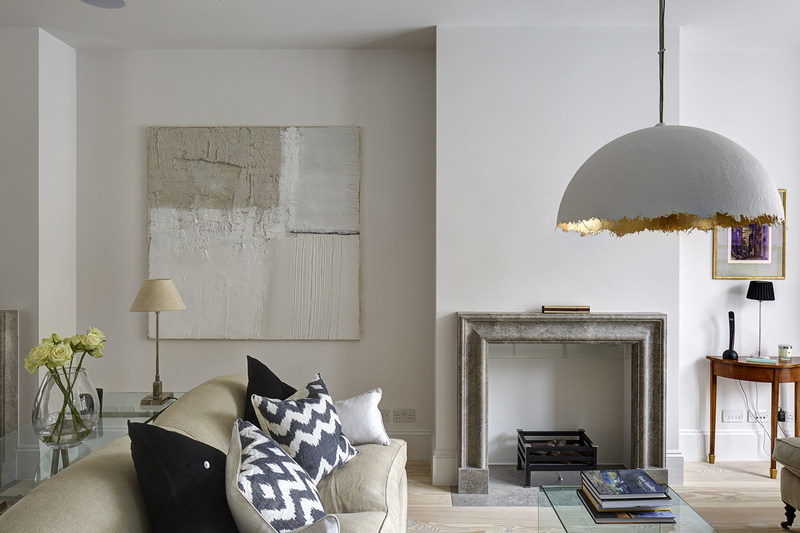 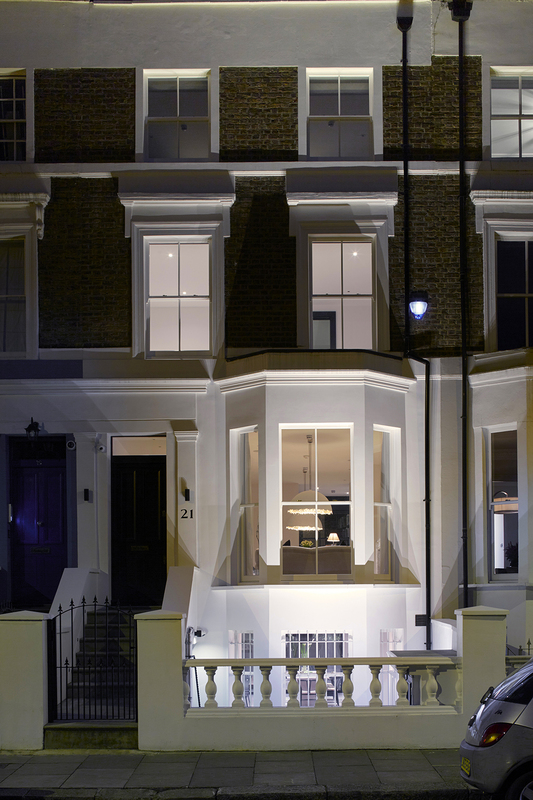 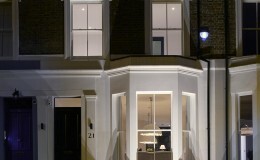 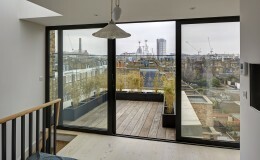 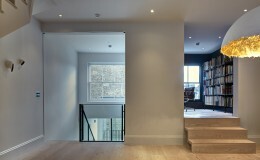 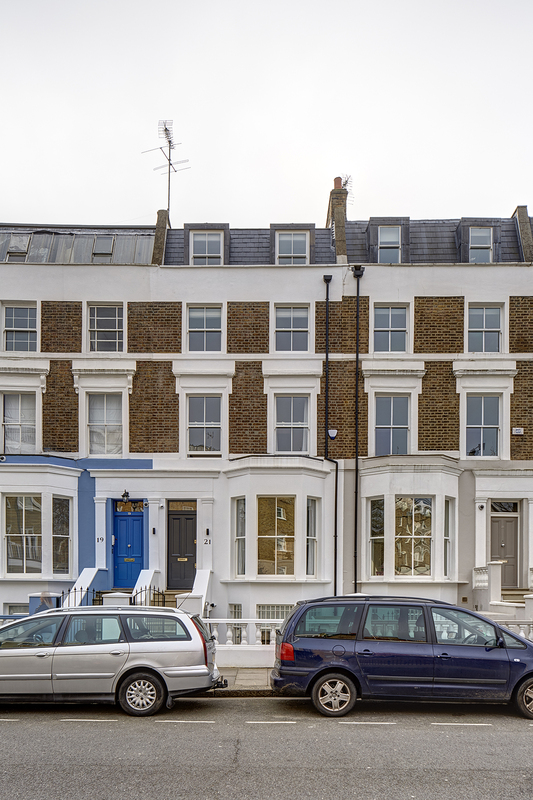 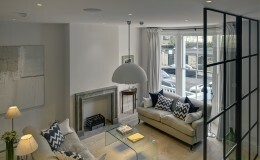 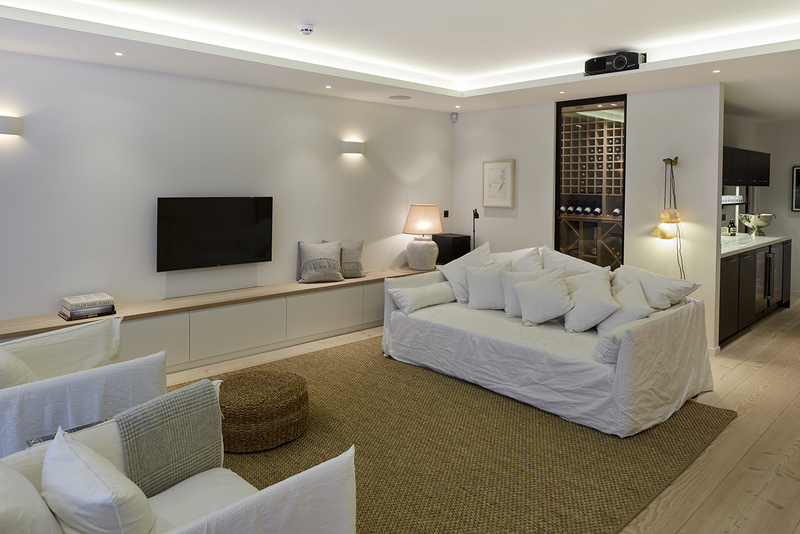 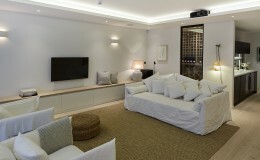 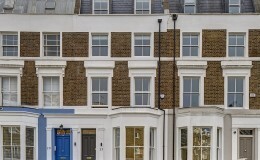 Full renovation of a five storey Georgian house in Chelsea, London. 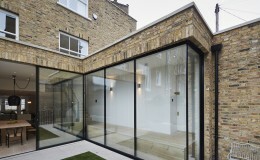 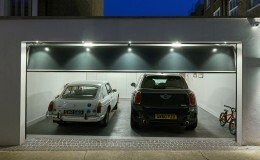 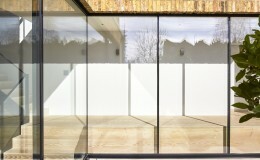 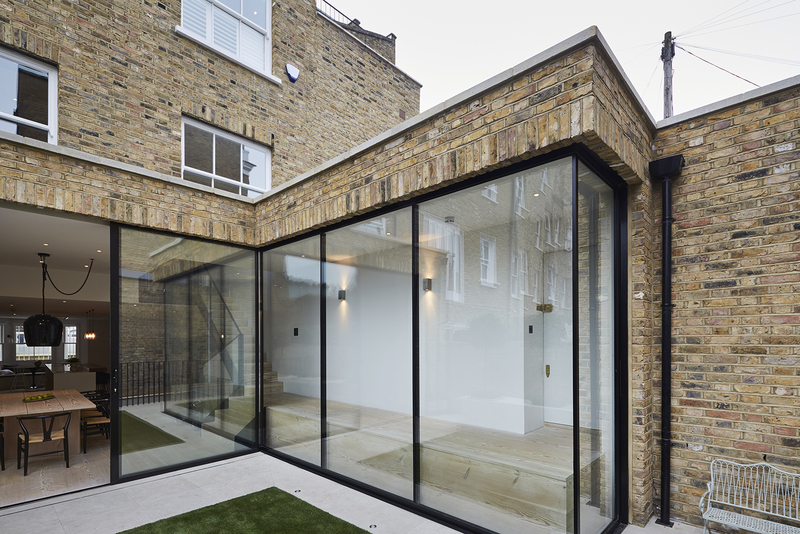 The project involved a radical series of side, rear and roof level extensions and a full subterranean excavation. 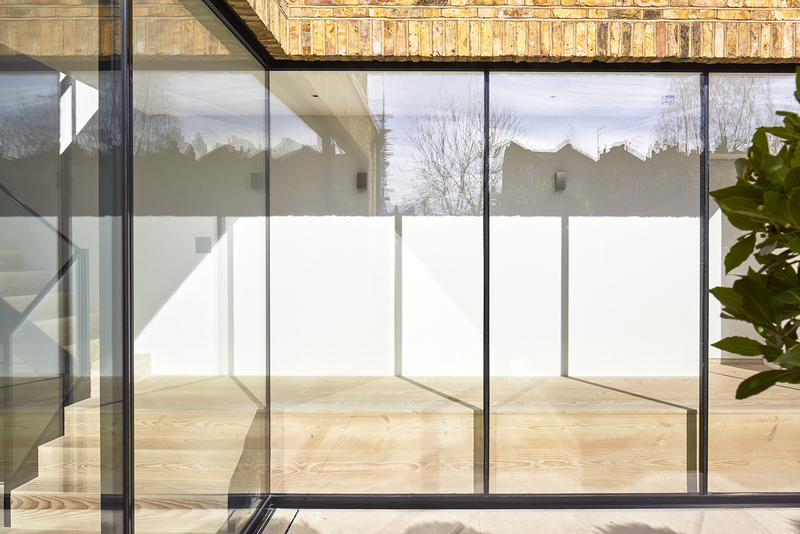 Completed in 2015, the practice relished the challenges of such an enormous rebuild, much of which was below the water table. 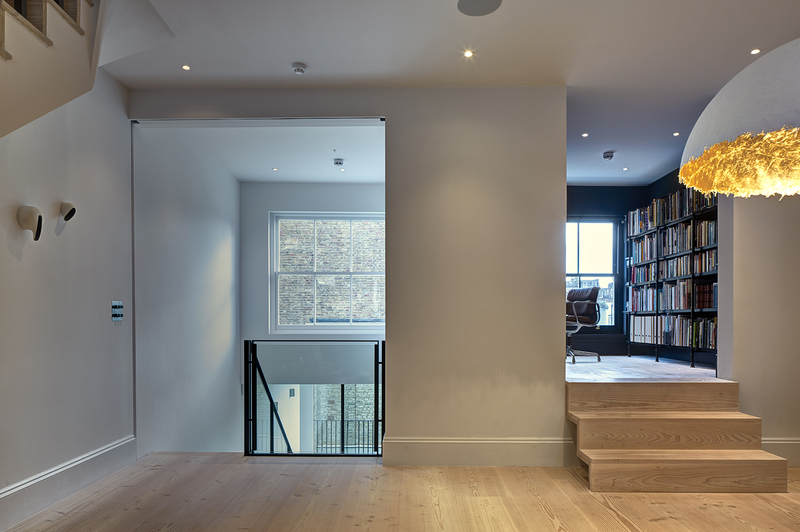 Moore Park House, set on an ‘L’ shaped plot with dual street entrances, now encompasses 5000 square feet of living space spanning six floors. 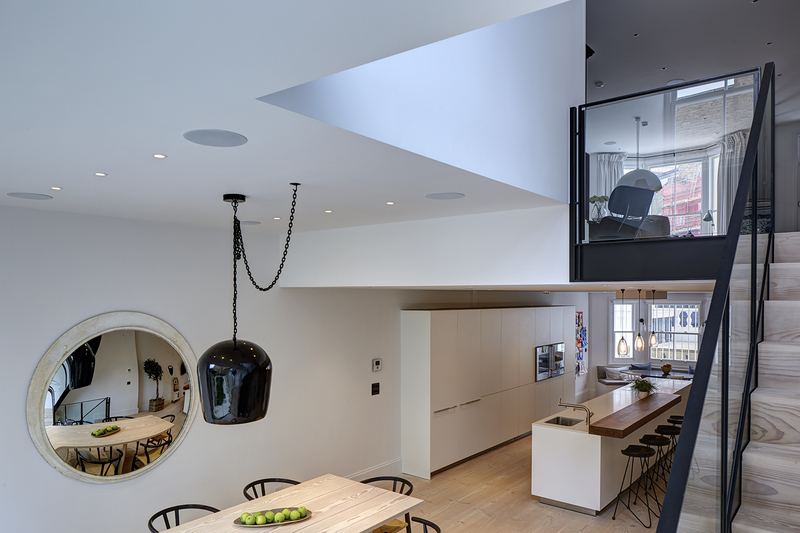 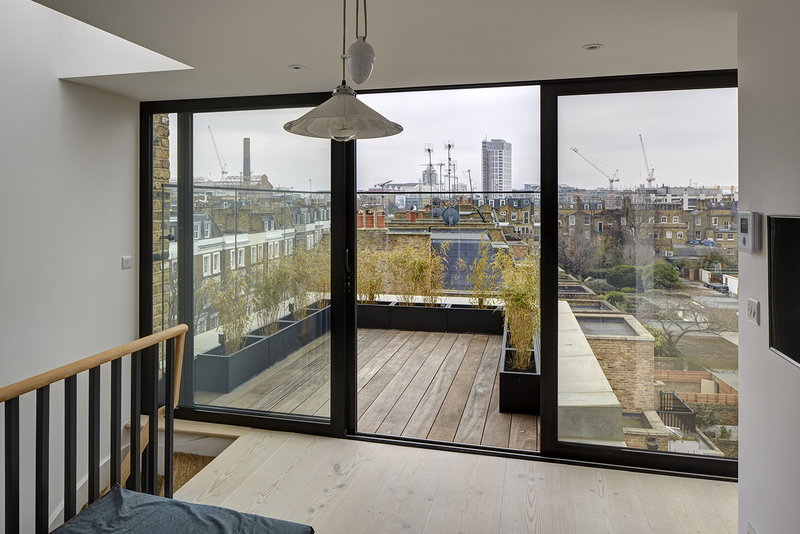 From the concrete soffits of the gym, sauna and media rooms at basement level to the wall to wall glass of the sixth floor living room with views reaching the London Eye, this house is truly unique. 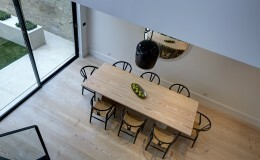 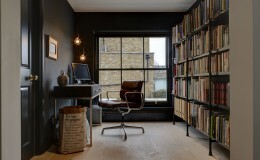 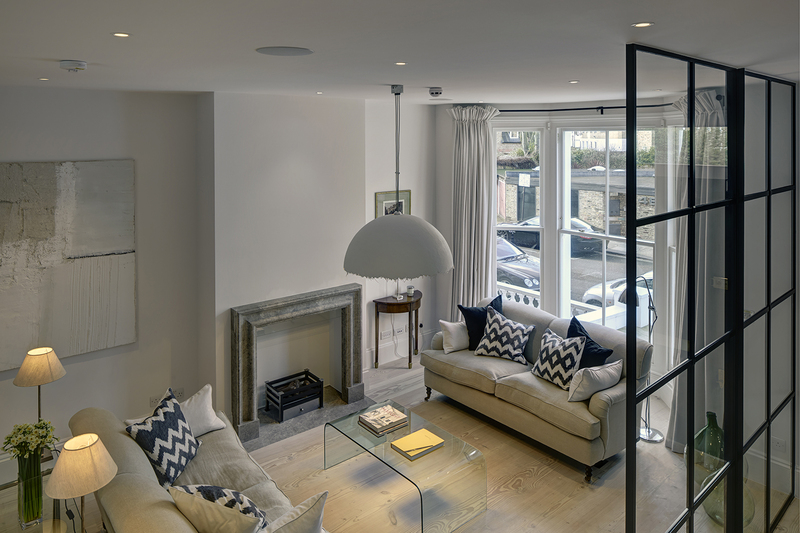 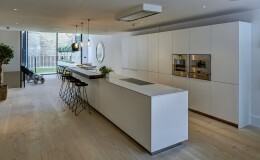 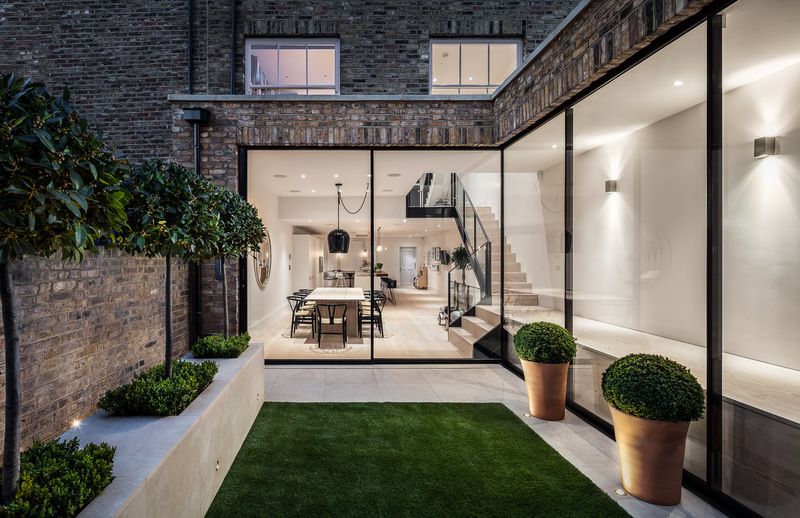 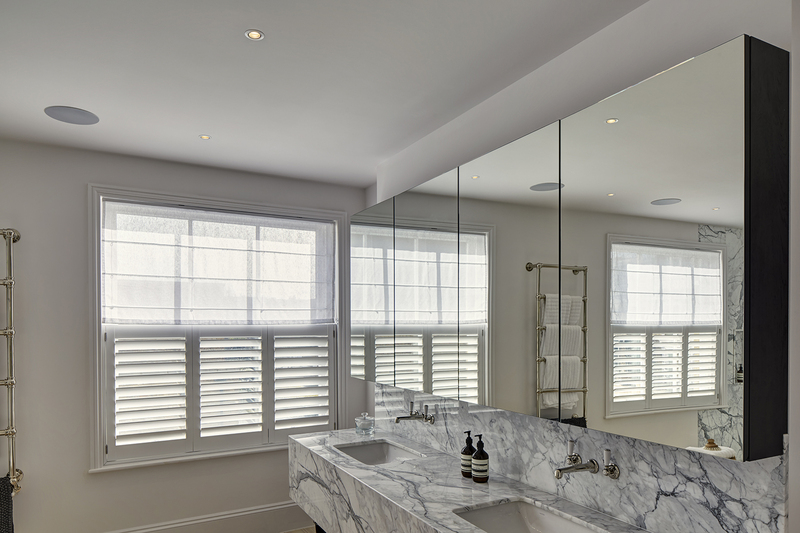 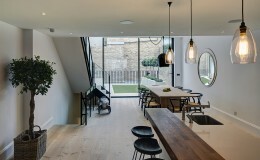 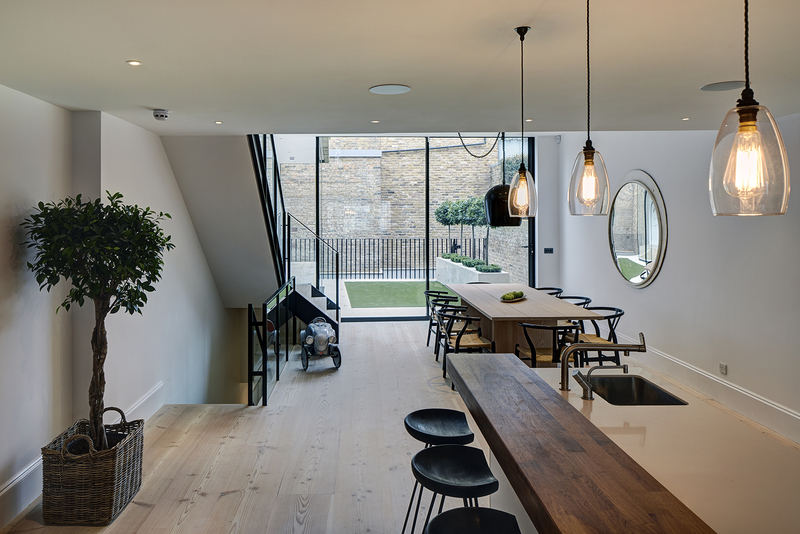 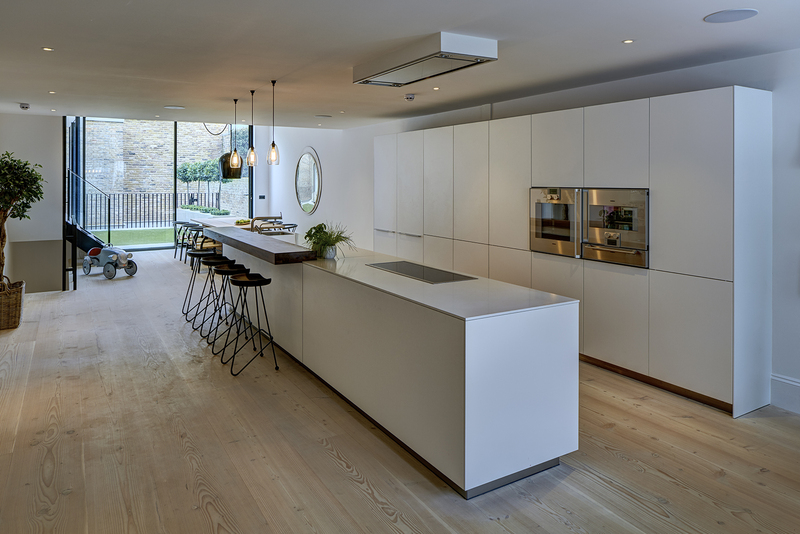 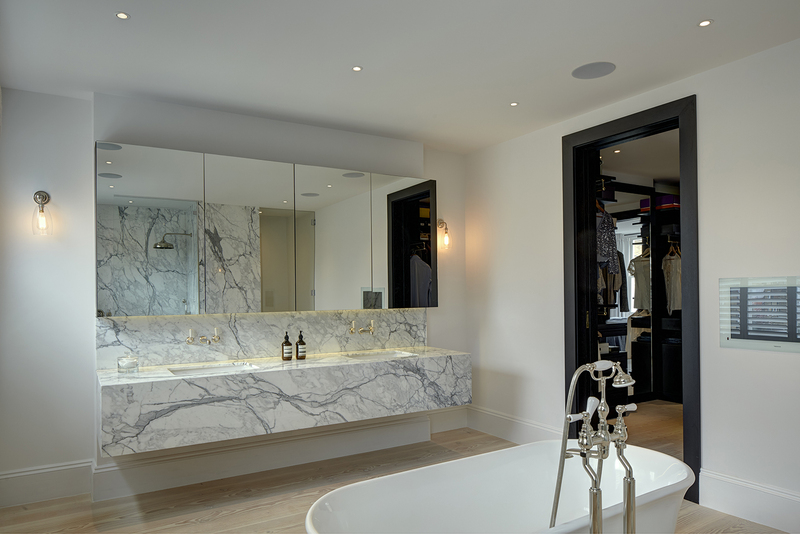 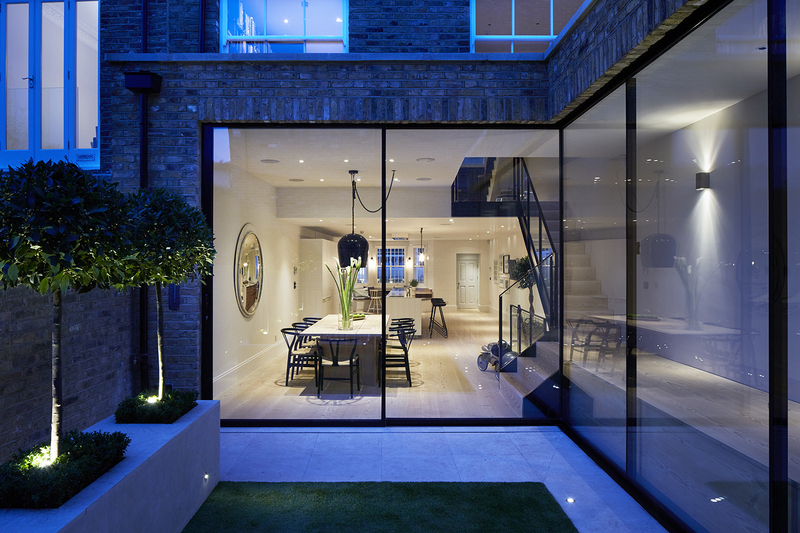 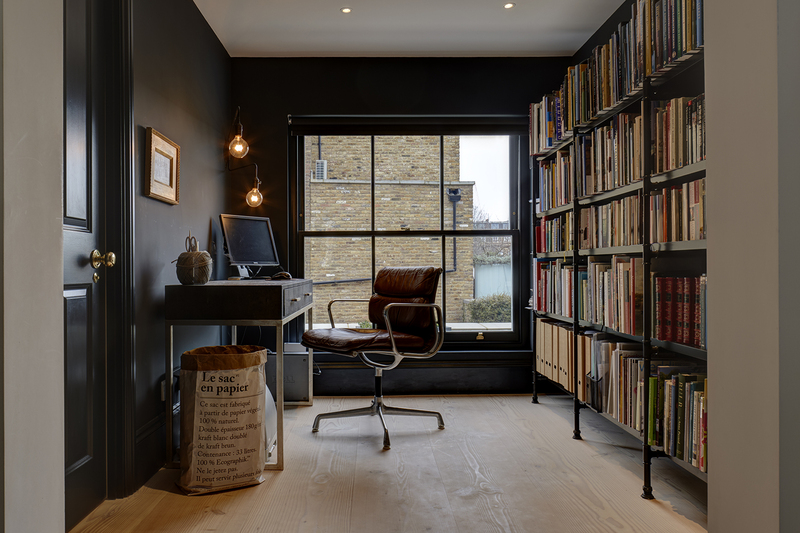 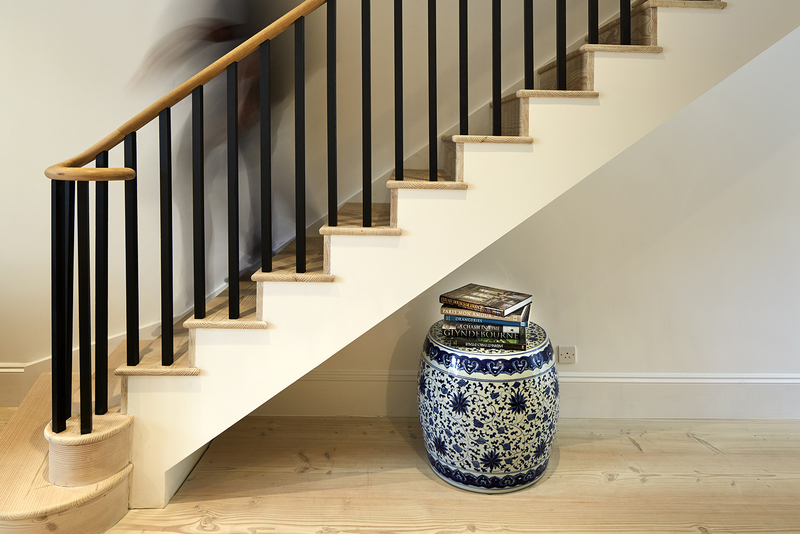 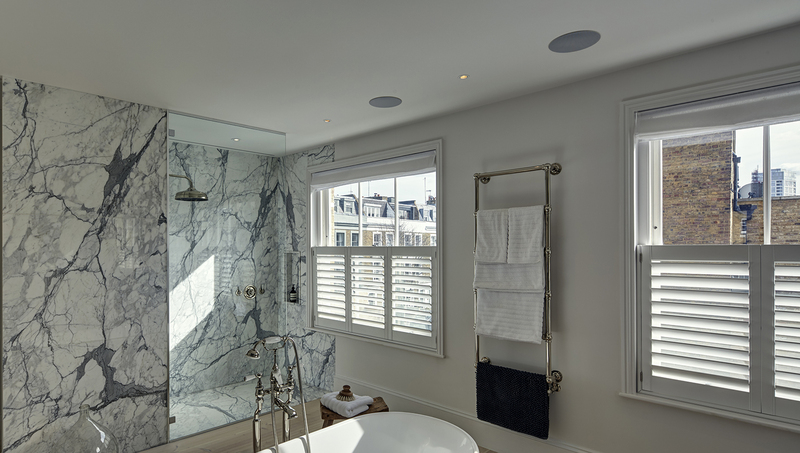 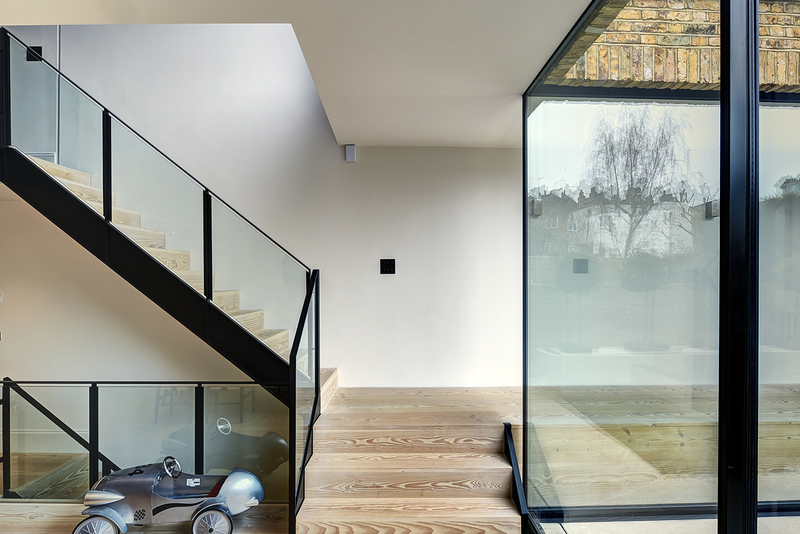 We worked closely with this ambitious and inspiring client to deliver a property with a wealth of unusual features, including double height spaces, gallery staircases, garden podiums, interconnected light wells, crittall partitions and glazed walkways. 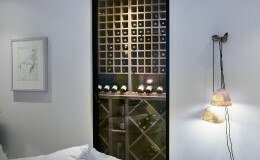 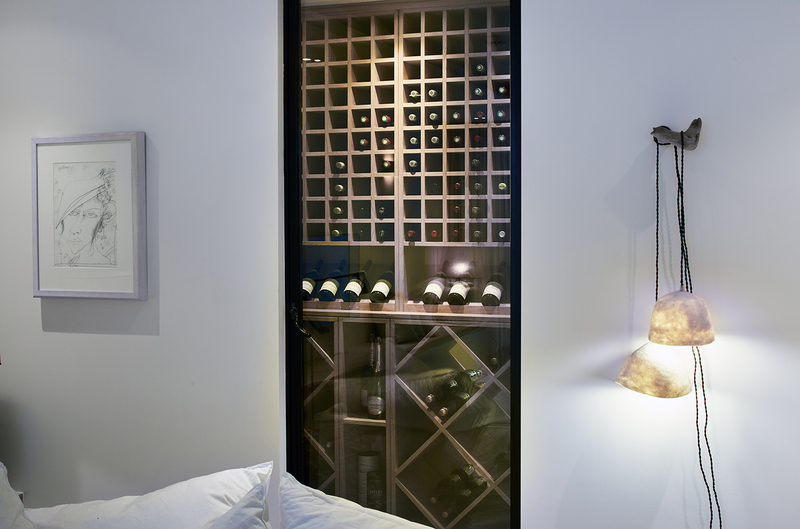 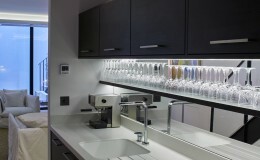 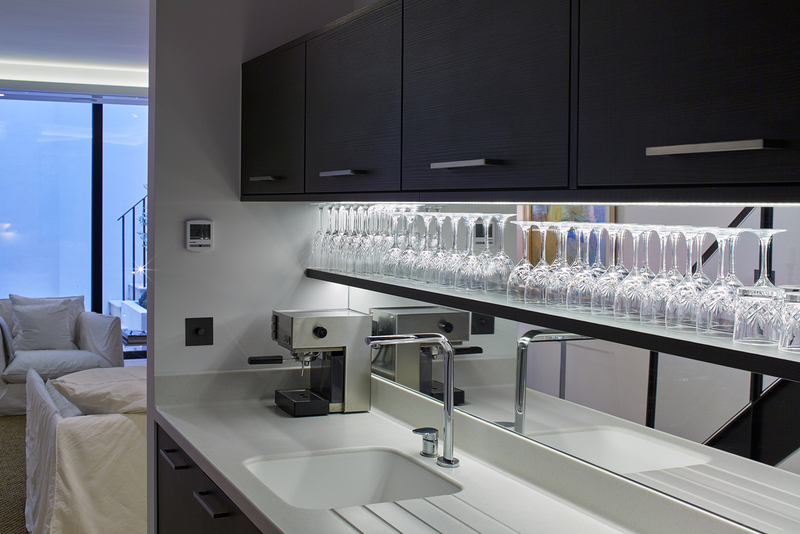 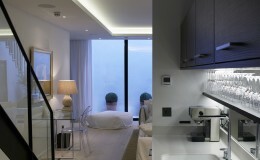 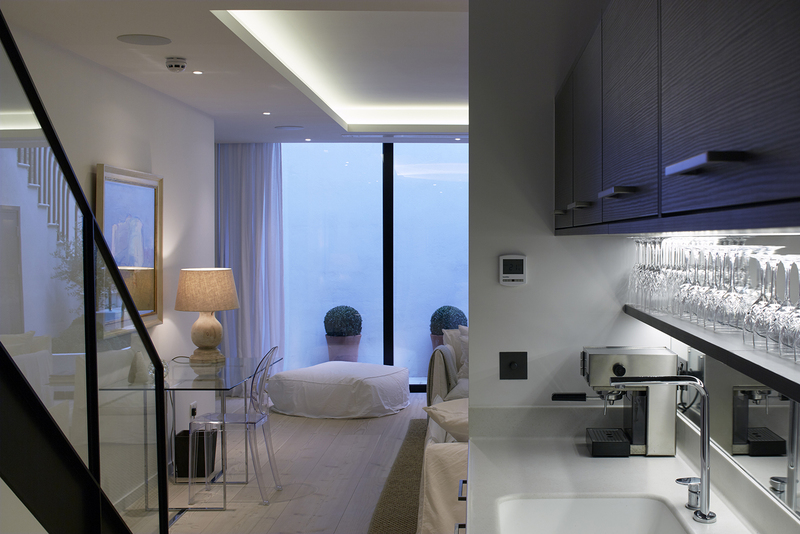 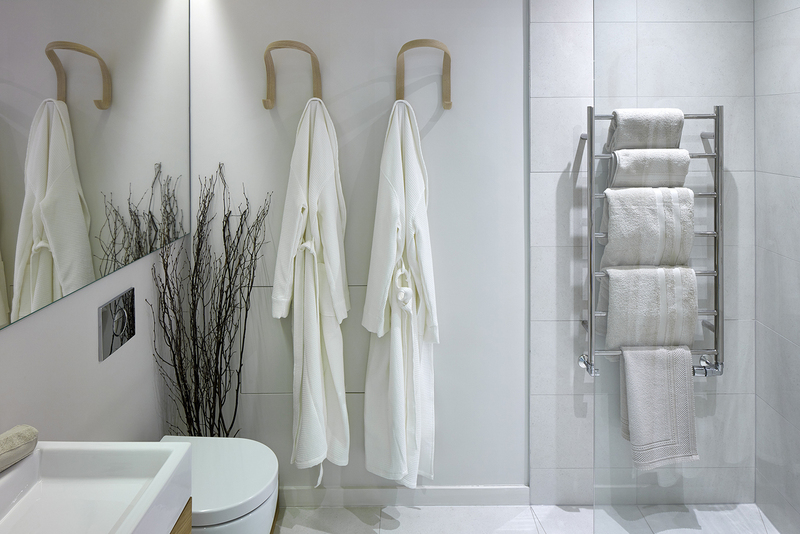 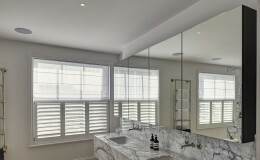 We also worked with them on lighting and interior design, paying close attention to detailing and flow of light. We are enormously proud of the result; this creative and malleable design is now a stunning home enjoyed in equal measure by the children and adults who live there.